After decades of searching, dive teams have finally recovered a rare bush plane that crashed through the ice of Charron Lake more than 70 years ago. 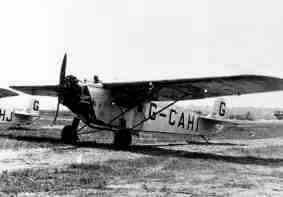 Canadian Airways plane G-CAJD, a Fokker Universal, went down in a snowstorm on Dec. 10, 1931, while carrying supplies to a party of prospectors at Island Lake in Manitoba. Made primarily of wood and fabric, the plane slipped into the lake with minimal damage, and was widely believed to be one of a few salvageable examples of this rare form of aircraft still in existence. "The wreck has eluded at least nine expeditions since we first began looking for it in 1975," Shirley Render, executive director of the Western Canada Aviation Museum, said in a press release. "Charron Lake covers about 35 square kilometres. The plane's surface area is about 35 square metres -- an object one millionth the size of the lake." Render described the Fokker Universal as one of the "workhorses" of the early years of northern flying, noting the pilot sat in an open cockpit -- often freezing -- while four passengers or cargo sat in an enclosed cabin. The search for the plane was largely sponsored by George T. Richardson, son of aviation pioneer James A. Richardson, who bought up 12 of the only 45 Fokkers produced for his fledgling company Western Canada Airways (which later became Canadian Airways). A press conference where original photos of the plane, sonar images and underwater footage will be made available takes place today at 11 a.m. in the museum's Richardson Gallery of Flight. Charron Lake is approximately 325 kilometres northeast of Winnipeg. Is ghost plane in lake? It'll take a wing, a prayer and a robotic submarine to lift the Ghost of Charron Lake from its frigid resting place after 70 years. Western Canada Aviation Museum staff hope obtaining a robotic submarine will help them locate a sunken Fokker Universal bush plane, which has intrigued them since the 1980s. "It's a fun story," said George Elliott, the Winnipeg museum's executive director. "George Lammers, one of our curators who has since passed on, was sitting in the office one day and he said 'This is the Ghost of Charron Lake.' "
It was Dec. 11, 1931, when a snowstorm forced pilot Stew McRorie and mechanic Neville Forrest to land the aircraft on Lake Charron, about a kilometre from shore. They were flying supplies from Winnipeg to the mining community of Island Lake. 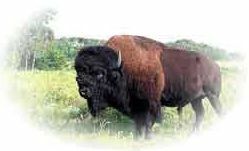 The men were rescued two days later by a trapper. The museum is doing all it can to locate the open-cockpit plane because if found, it would be the only intact Fokker of its kind in existence. Last summer, the museum used sonar equipment to pinpoint where they believe the aircraft is in the lake -- 350 kilometres northeast of Winnipeg. But the use of a robotic submarine, which starts at $41,000 US, could confirm it. "It's an underwater TV system that's controlled from the surface," explained Elliott, adding the search would continue this summer. "The majority of them are around the West Coast and East Coast and we've been making contact with people down there." Last summer, the museum learned that after the plane was downed, it sat in the ice all winter on its wings. "Then it melted in the spring and the airplane let go to the bottom," Elliott said. "What we think we found, it's in a little over 130 feet of water. There's also a sheer cliff there of about 70 feet." It's believed the aircraft's one-piece wooden wing was knocked off while going over a cliff after sinking. That could make bringing the plane to the surface easier with less resistance, Elliott said. The Fokker Universal was a low-production aircraft from the late 1920 and early '30s. Like most vintage aircraft, they were destroyed after their heyday. from the CBC News website.